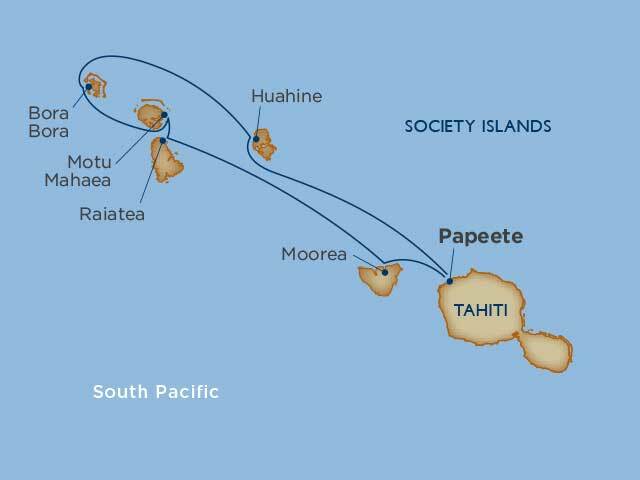 This 7-night cruise is the perfect way to experience the true wonder of Tahiti. 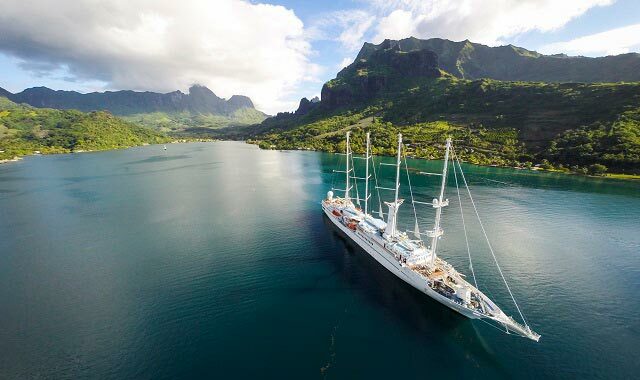 Sail among the islands of Tahiti, Moorea, Bora Bora, Taha’a and more on Windstar’s graceful sailing yacht, the Wind Spirit. For a limited time: 1 night pre-cruise accommodation at the Le Méridien Hotel in Papeete, plus a day room at the Le Méridien Hotel in Papeete post-cruise. Ask your Tahiti Specialist for more details. Watersports Platform, including all watersports equipment featuring complimentary kayaks, paddleboards, water trampoline and more! 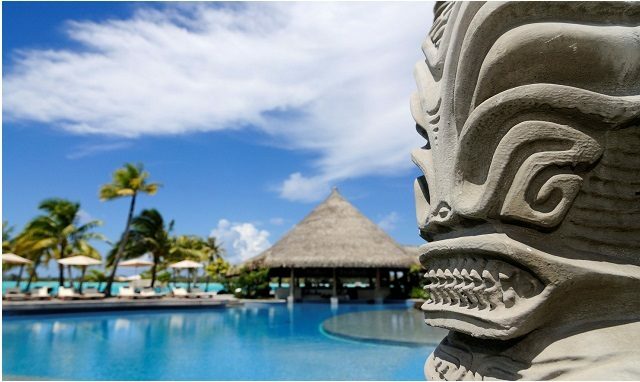 Relax on sunny beaches, sample Tahitian fare, and take in the effervescent spirit of the city. But whatever you do, save time — and luggage space — for shopping. Black pearls and colorful crafts fill the market and local treasures are so plentiful you’ll have trouble making your choices. Welcome to paradise, where your stunning surroundings soak up superlatives and call for more. In our stay here you’ll have plenty of time to do it all. Be sure to consider the opportunity to hone your photography talents on an optional tour of the island in the company of a professional photographer. Your choices here are endless. Hike the majestic Three Coconut Trail. Visit dolphins in their native habitat. Or spend your time swimming and kayaking from Wind Spirit’s Watersports Platform as we lay at anchor in these beautiful sapphire seas. Raiatea, “The Sacred Island,” is located just across the lagoon from Tahaa and shares the same barrier reef. (Legend claims the two were a single island until a conger eel possessed by the spirit of a princess separated them.) It used to be the center of religion and culture in the Society Islands. Taputapuatea, on the southeast coast, was once the most important marae around, the place where kings from the neighboring islands would gather for important ceremonies. Uturoa, the main town, reminds some people of Papeete in its younger days with its quaint low-rise buildings. Raiatea is also home to the only navigable river in the islands, the Fa’aroa. Explore Polynesian history or climb Mount Temehani in search of the rare tiare apetahi flower, which grows only here. We will spend the day on a private island complete with swaying palm trees and white-sand beaches. 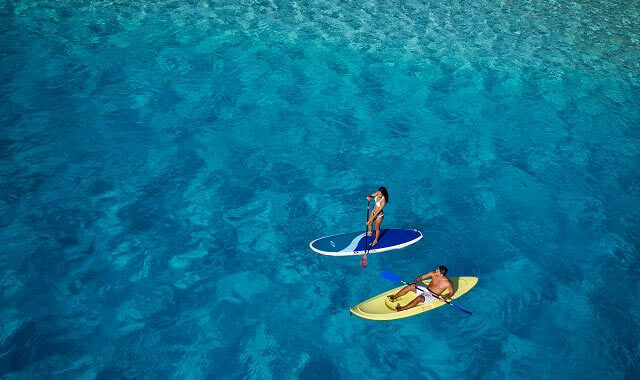 Swim, snorkel and enjoy a variety of water sports in the crystal-clear waters. There will be a delicious barbecue lunch and tropical drinks waiting for you. Explore Tahaa with optional excursions to discover the vanilla plantations and sacred sites of the island. Our stay here allows plenty of time to capture the beauty in photographs — and you’ll want plenty. These stunning waters will show a different kaleidoscope of blue in each frame. You’ll have lots of options for exploration, whether you prefer the access provided by a 4-by-4, or the thrill of riding in the open air. Stretch out on stunning white-sand beaches, dive and swim in brightly colored seas, or sail among the tiny islands and lagoons. This is the stuff that dreams are made of. Anchor here in the place whose nickname is “Garden of Eden.” Take your time to explore the lush forests, the tropical landscapes, and the quaint villages to discover one of Polynesia’s best kept secrets. 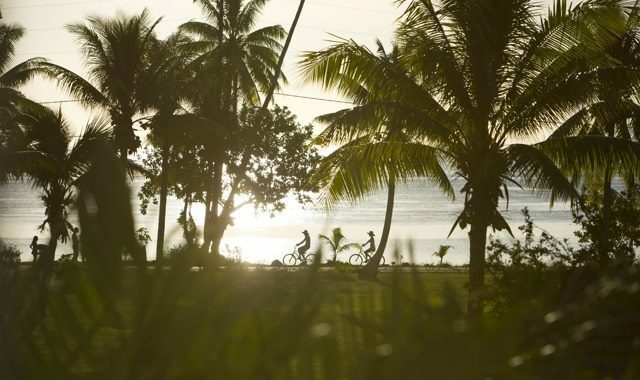 Here, at a slower pace, see a glimpse of the authentic South Pacific island lifestyle. Stop by the Maeva archaeological site and wander around the 150-odd marae (temple sites) and 400-year-old stone fish traps that are still in use And you’ll have your pick of the world’s best snorkeling once again. 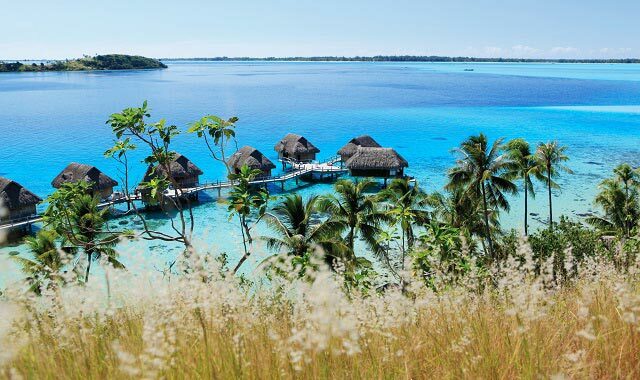 This five night honeymoon at the InterContinental Bora Bora Le Moana welcomes you with white sand, turquoise water, authentic Polynesian decor, and a warm and inviting staff waiting to make your honeymoon dreams come true! 5 Nights at the InterContinental Moorea Resort and Spa offering a great variety of activities, lengthy beach, and beautiful sunrise and sunset views. This Moorea honeymoon getaway is perfect in every way! 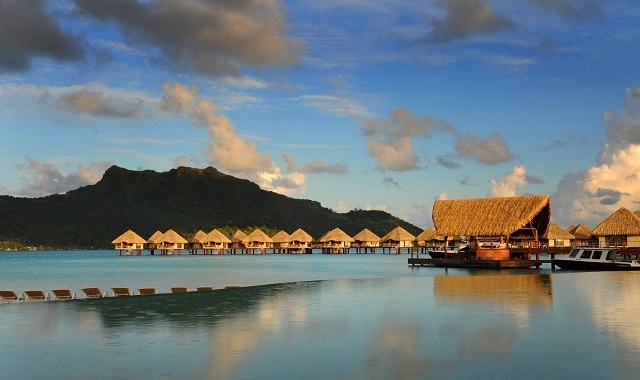 International air, ferry service, and five nights at the five star Hilton Moorea Lagoon Resort with complimentary Champagne and mini-bar amenities. This 5 night package features the Bora Bora Pearl Beach Resort where you'll be greeted by beautiful island and sunset views of Bora Bora, as well as, stunning views of Mt Otemanu. This romantic Moorea honeymoon has all the makings of unforgettable memories. Airfare, six nights at the five star Hilton Moorea Lagoon Resort, and two of our favorite Moorea excursions are included. An elegant blend of romance, adventure, luxury, and relaxation. 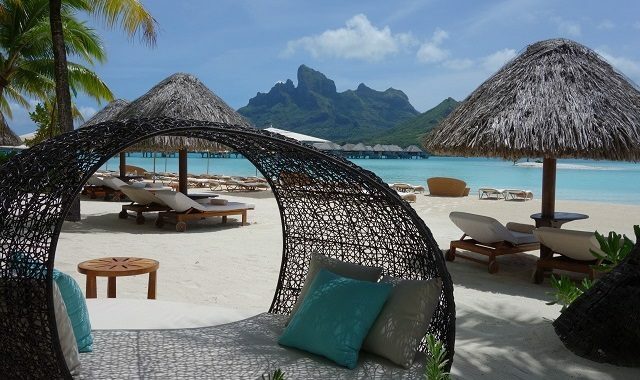 This perfect honeymoon package includes 3 nights at the Sofitel Moorea Ia Ora followed by 4 nights at the trendy Le Meridien Bora Bora Resort. 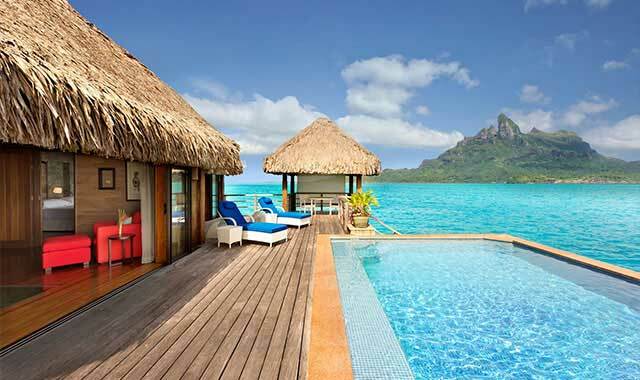 Experience French elegance amidst the lush beauty of Moorea and Bora Bora. This very special honeymoon includes 5 nights at the Sofitel Moorea Ia Ora Beach Resort and 5 nights at the Sofitel Bora Bora Private Island. C'est Magnifique! A 5 night luxurious Bora Bora honeymoon at the five star Four Seasons Resort Bora Bora; one of the most beautiful honeymoon destinations in French Polynesia. This 7 night package features the Bora Bora Pearl Beach Resort where you'll be greeted by beautiful island and sunset views of Bora Bora, as well as, stunning views of Mt Otemanu. 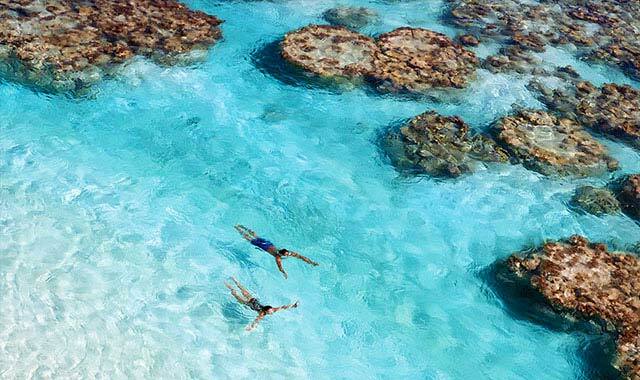 Your Honeymoon package also includes a half-day snorkeling excursion. Enjoy the best of the islands for your Tahiti honeymoon with a 1 night stay at the Manava Suite Resort in Tahiti followed by 6 nights at the Moorea Manava and 6 nights at the Bora Bora Pearl Beach Resort. Indulge in luxurious accommodations against the backdrop of lush green mountains of Moorea and picturesque lagoons of Bora Bora. 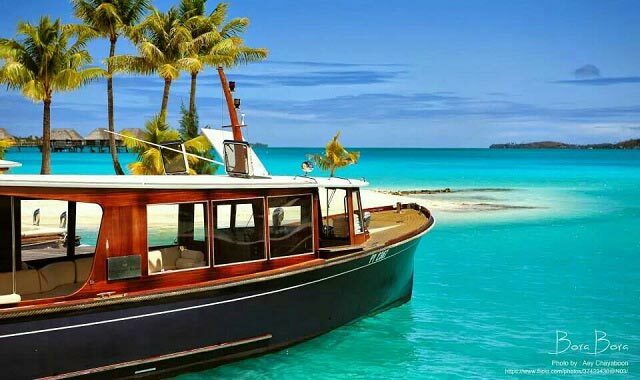 Included in this package are four nights at the Hilton Moorea, four nights at the Four Seasons Resort Bora Bora, and an excursion on each island. Experience the legendary Tahiti! This exotic ten-night, three-island package begins with the lush forests and mountains of Moorea, followed by the luxurious cerulean lagoons of Bora Bora and the hidden authentic Polynesian gem of Huahine. Indulge in the most luxurious of accommodations for an unforgettable honeymoon stay. 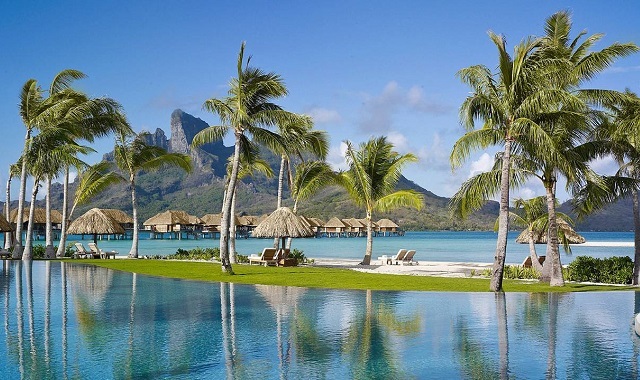 You'll spend four nights savoring the hypnotic lagoons of Bora Bora at the Four Seasons Resort, followed by three nights on the tranquil island of Taha'a at the five-star Le Taha'a Island Resort & Spa. Enjoy ten nights of five-star luxury! This package includes five nights at the Hilton Moorea, five nights at the St Regis Bora Bora, and an excursion on each island. This dream Tahiti honeymoon combines the islands of Moorea, Bora Bora, and Taha'a into the perfect island escape; one you'll be reminiscing for a lifetime. 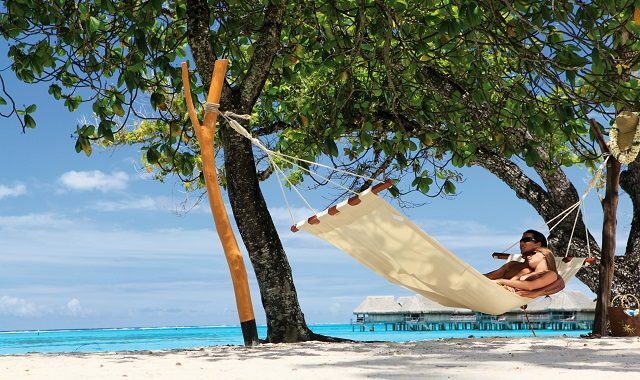 One of our most popular honeymoon packages, this Bora Bora and Moorea honeymoon includes three nights at the Moorea InterContinental Resort and four nights at the InterContinental Bora Bora Resort and Thalasso Spa. Package also includes two of the best land and lagoon excursions in the islands. Your ten nights in paradise include five nights at the Hilton Moorea Lagoon Resort and five nights at the Conrad Bora Bora Nui. This popular package package also includes two of the best land and lagoon excursions in French Polynesia. 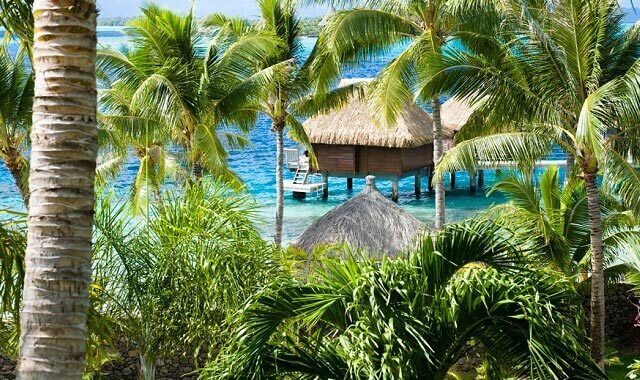 This luxury Bora Bora honeymoon features 6 nights at the five star Four Seasons Resort Bora Bora; one of the most beautiful honeymoon destinations in French Polynesia. Begin your luxury honeymoon with five nights at the legendary St Regis Bora Bora Resort, admiring the blue lagoons from your overwater bungalow. Then, be whisked away to a private island where you’ll spend two nights at the exclusive Brando Resort in a secluded villa with your own private beach and pool.